It's Tuesday morning. Another meeting. People drag into the room, yawning and carrying gargantuan mocha javas. Someone launches a presentation. Papers are distributed. And after sixty minutes of nodding, scribbling, and mindless chatter, it's discovered that this week's reports are really not all that different from last week's. Sound familiar? To survive, you've got to change your course and strategize. Perhaps you need to improve your negotiating skills, refine your leadership abilities, or maybe you just need help identifying those easy improvement targets. Whatever the case may be, Tom can help. 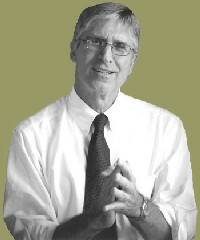 Tom Bower changes the quiet, stagnant, "same as yesterday" individuals into effective leaders. From executives to entrepreneurs, education professionals to health care providers, those in volunteer organizations, small businesses, or corporations...Tom transforms "B" producers into "A's". Whether it be one-on-one or a focus group session, Tom inspires and draws out the very best of those present. "The most important person in the room is not me, it's you!" For help in your leading your mission, click here to contact Tom!